A pregnant lady’s unfortunate death has left her people heartbroken. 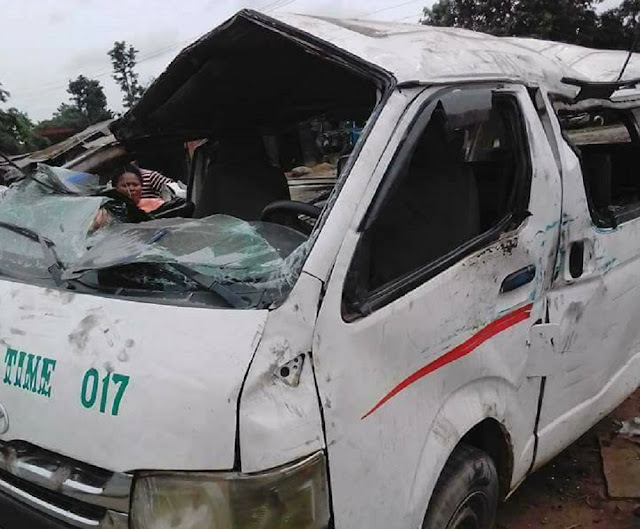 According to information gathered online, the deceased was involved in a fatal motor accident while traveling with other passengers in a commercial bus on Tuesday, March 27th. You were a strong woman and would have defeated death if it was a physical fight to safe your life and that of unborn Baby. All I have to say is REST IN PEACE.